Concord Fans 52" Oil Rubbed Bronze Porch Outdoor Ceiling Fan 52 inch Oil Rubbed Bronze Outdoor Ceiling Fan Best High End Outdoor Exterior Ceiling Fan 52POR5ORB Roosevelt Collection Ceiling Fan All items are 100% NEW, never before used, and sold in their original packaging. - Easy to Install - Installation Instructions Included - COMPLETE ITEM: Everything necessary for installation is included! - Height: 12.875" - Downrod extensions available for high ceilings if necessary - Width: 52" - Voltage: 120V - If desired, this Ceiling Fan can be Flush Mounted against the ceiling Hugger style without the downrod for more clearance. Dual Mount Hanging Kit Included. 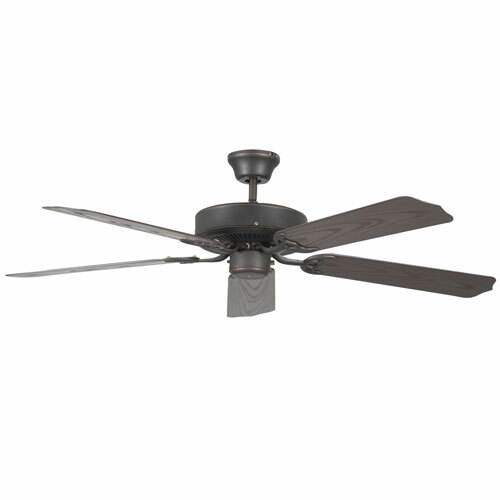 - Number of Fan Blades: 5 - Weathered Bronze Fan Blades - Blade Pitch/Angle: 11 Degrees - Safety Rating: UL / CUL - This fan can be installed and used outdoors if desired. 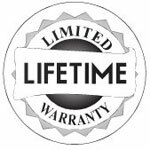 It is rated for Indoor or Outdoor use. - 4.5" Downrod Included. 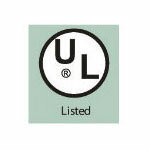 - Noise Free Speed Control Method - Concord Fans use precisely manufactured triple capacitors with Underwriters Laboratory (UL) tested and approved quality to ensure and guarantee all fans will NOT hum or buzz. Imagine running your bedroom ceiling fan at night with no noise. Or what about your living room or kitchen fan noiselessly keeping everyone cool during a party! - 3 Speed and Reversible - All Concord Fans come equipped with 3 speeds: high, medium, and low. All fans are reversible to provide recirculation of warm air trapped at the ceiling level during winter.